Doha Zoo Qatar one of the most visited tourist place in the city. 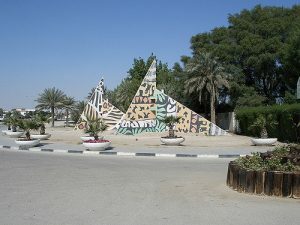 It is among one of the oldest zoos in Qatar Doha. It is another wonderful attraction for visitors after Aqua Park Of Qatar. This old menagerie is located around 24-25 Kilometres from the heart of the city. The Doha Zoo is abode to a large number of rare species, along with other animals, including oryx, zebras, elephants, baboons and giraffes. Oryx is the national animal of Qatar and it is the main attraction of this zoo. This more than 30 years old zoological park is famous for animal shows. A few years ago it was reconstructed and now available for visitors as a safari park. Note: Ramadan days may affect the timings. During summer, it opens at 4:00 PM and closes at 9:00 PM. On Tuesday this zoological park remains open for women only. Child below 9 years is allowed with women. Wednesday and Friday are reserved for families. Contact Number: +974 44682610, +974 44585858. Address: Doha Zoo, Al Furousiya Street, Salwa Road South, Doha-820, Qatar. Note: Any kind of entry fees has not been charged for Disabled people and child below 2 years. Only cash payment is accepted. Ramadan days may affect the visiting timings. So please contact them on their above-mentioned contact number during Ramadan days. This one of the largest animal park present in the region is a wonderful place for local residents and foreign tourists to spend some quality time with their family and children. Doha Zoo sprawls across an area of 75 hectares. It includes the small size aviary which has a good collection of bright and noisy birds. A small toy train is another attraction for children. This zoo is the house of around 1500 animals. These more than 150 type of species animals includes some rare species like “Oryx”. This is one of the places where you can easily see the “oryx”. Otherwise, you need to visit Oryx park which is located in the Al Shahaniya region of Qatar. Oryx is the mascot of Qatar’s national airline, Qatar Airways. This zoological park has a cafeteria and playground for children. The animal park offers a great experience both for adults and kids alike. Apart from enjoyment, this unique zoological park serves well as an enlightening trip for kids. The lush greenery of the surrounding is a visual treat. How To Reach Doha Zoo Qatar? By Road: If you are coming by road then we suggest you, to use private transport. As it is far away from public transport. From the famous Khalifa stadium, you need to go straight for 2 signals. After crossing Hyatt plaza signal you need to take a right turn and after few meters, you can see the zoo on your left-hand side. Winter season is the best time to visit this place. If you are coming in the summers then don’t forget to take sunglasses, cap and water bottle.